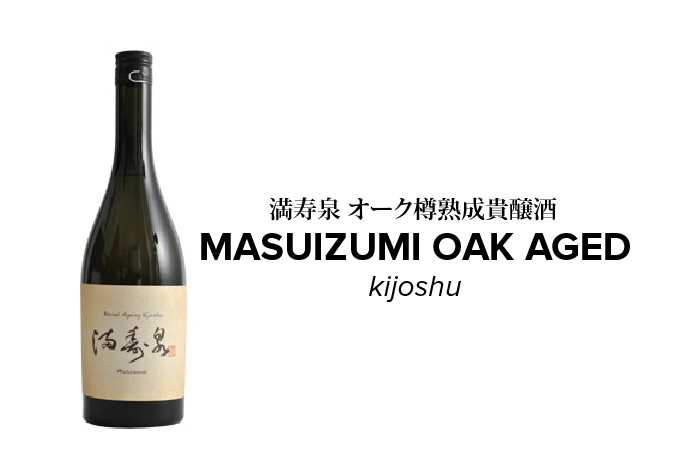 Introducing two kinds of Masuizumi Kijyoshu from Masuda Sake Brewery in Toyama Prefecture, regular Kijoshu and Oak Barrel Aged Kijoshu. Kijoshu is a special type of brewing method in which the amount of water added during the final fermentation step is reduced and instead replaced by adding sake. By replacing water with sake, the mixture becomes concentrated with sweetness resulting in a kijoshu’s signature luscious-sweet, velvety brew. 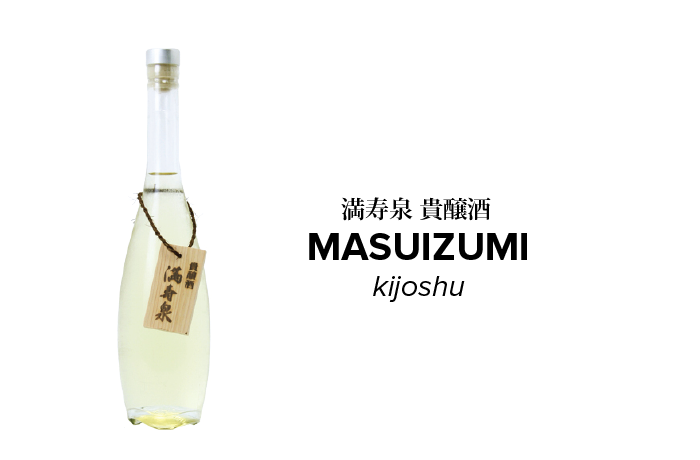 The well-balanced refreshing acidity that flows after the rich sweetness make these kijoshu one of kind. Savor as an appetizer with cheese or foie gras or enjoy as a after meal dessert wine.